About the Competition: The Midwest Homebrewer of the year competition uses the results from several homebrew competitions throughout the midwest. The homebrewer with the most accumulated points from beer, mead, and cider BJCP category entries wins the Midwest Homebrewer of the Year award. The Midwest Homebrewer of the Year competition selects the top homebrewer from the Midwest based upon points earned in participating competitions. The homebrewer with the highest Net Score at the end of year wins the title of "Midwest Homebrewer of the Year" and receives significant Prizes. Points are accumulated by winning 1st, 2nd or 3rd place in any of the homebrew competitions in the MWHBOY Circuit. A brewer's accumulated points are multipled by his winning percentage (his ratio of medals to entries) to calculate his Net score, upon which the competition's rankings are based. For a detailed description of the competition rules and the formula used to calculate a brewer's Net Score, please visit the Rules page. 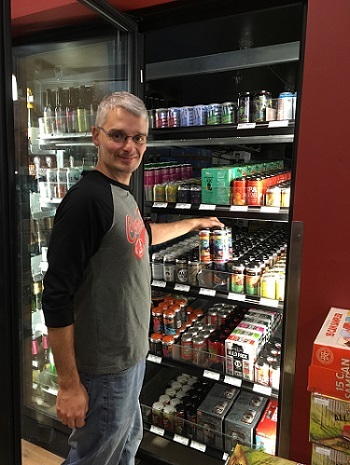 The 2018 competition year has been finalized and Jeff Landers is the 2018 Midwest Homebrewer of the Year! Sign up now to include your homebrew competition in the 2019 Midwest Homebrewer of the Year Circuit! If you are a competition administrator and would like your competition to participate, please register by contacting us at the email address at the bottom of this page. We'll send you all the information you need to become part of the MWHBOY circuit for 2019! Individual homebrewers do not need to register. Individuals will automatically be included in the competition by entering any of the competitions included in the MWHBOY circuit. Jeff Landers is the 2018 Midwest Homebrewer of the Year! View all previous winners here. Farmhouse Brewing Supply is now the official sponsor of the Midwest Homebrewer of the Year competition! Results from the Happy Holiday Homebrew Competition have been added to the standings. That is the last competition of the 2018 competition year, so a winner will be announced soon! Standings are updated with the results from Hoppy Halloween, Sower's Cup, and Draft Brewfest. Standings have been updated with results from the German Fest Stein Challenge and the Indiana Brewers Cup.